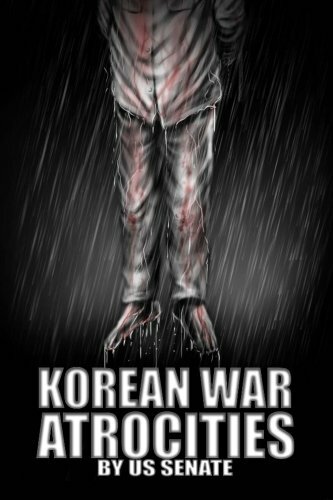 This is the new updated version of the Korean War Atrocities. This is the US Senate Investigation and the testimony from soldiers who were captured and escaped. The horrors that they describe are graphic in detail. A past customer complaint was that there was no good photos. I am sorry to say that this testimony was taken 60 years ago and that the photos that I do have copies of are almost unusable. Here is what we did. We hired a Professional Illustrator to Illustrate the book. The illustrations are graphic in nature. 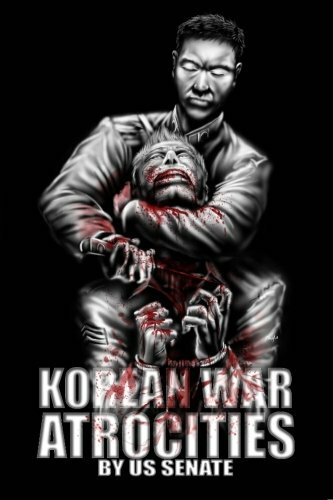 Example: one of the soldiers stories describes a Chinese Nurse cutting the toes off of an American soldier with no anesthesia...this has been illustrated. Execution of American Soldiers...Illustrated. We have also reformatted the entire book for clarity. This was not an easy undertaking when using 60 year old files. Please enjoy this work...It is all true and verified. You will read testimony and statements by people that are long dead and gone....but they live on here....each word recorded. General Ridgway made opening statements. Senators you only hear reference to in history books....recorded here.. Senator Charles E. Potter, Senator Joseph R. McCarthy, Senator Henry C. Dworshak, Senator Barry Goldwater....a must have for all History Buffs and researchers.... Excerpts... When a Red Chinese nurse cuts off the toes of a GI with a pair of garden shears, without benefit of anesthesia, and wraps the wounds in a newspaper, this makes a liar out of Vishinsky, who repudiates his argument that the Red Chinese were humane in their treatment of our war prisoners. ...... Soon after assuming command of the Eighth United States Army in Korea, I issued a statement to that unified land force setting forth my personal convictions with respect to the issues at stake in the conflict then raging. Specifically, from the text of that declaration, I quote: The real issues are whether or not the power of civilization, as God has permitted it to flower in our own beloved lands, shall defy and defeat communism; whether the rule of men who shoot their prisoners, enslave their citizens, and deride the dignity of man, shall displace the rule of those to whom the individual and his individual rights are sacred; whether we are to survive with God's hand to guide and lead us, or to perish in the dead existence of a godless world. You will note that today as then, in January 1951-the phrase "men who shoot their prisoners" has been emphasized. ...... Lieutenant McNichols: Yes; made me sit down and then tied me to a tree, told me to be quiet, to shut up. He went forward then on to this first hill to see what activity was going on at the base, and then about that time this American unit started up the hill. They didn't fire any artillery or mortars; just a straight infantry attack. Immediately all the enemy soldiers ran out with the exception of this lieutenant. As he reached this tree he reached into his pocket, grabbed his pistol, cocked it and I remember it going off once. However, later I found out I was shot four times that time. Senator Potter: Where were you hit, Lieutenant? Lieutenant McNichols: One of them through the mouth, two of them in the neck, one through the shoulder. Senator Potter: They shot you while your hands were tied behind your back and tied to a tree? Lieutenant McNichols: Yes. Please leave feedback.